When you want to add an image to a chapter you are editing, first locate your cursor where you want the image to appear in the text, and then click the Insert Image icon in the editing toolbar. An Insert Image window opens. 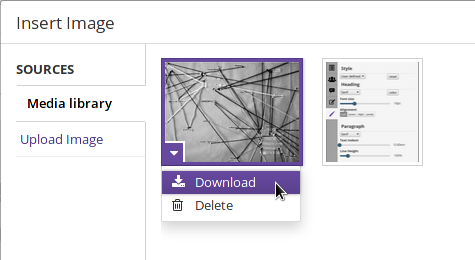 You can either choose an image from the Media Library, which contains images that have already been uploaded, or upload an image from your computer. Mouse over an image in the Media Library and click the arrowhead icon in the lower left corner to Download or Delete it. 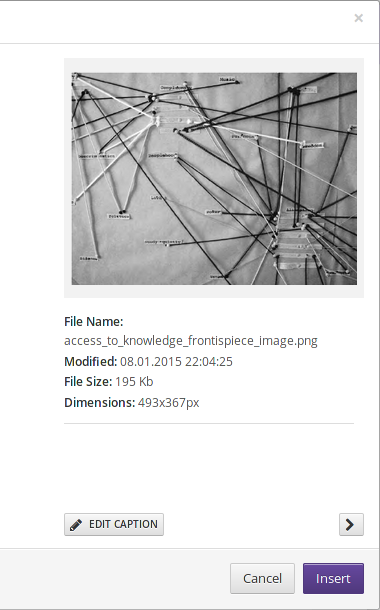 To insert an image from the media library, find the image you want and select it by clicking on it. A preview of the image and technical information about it will appear on the right-hand side of the window. 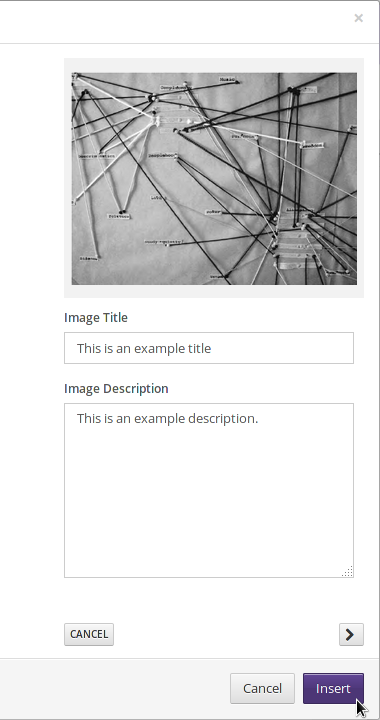 Optionally, click the EDIT CAPTION button to open fields in which you can update the image title and description. Then click the Insert button. The image will be inserted at your chosen location in the chapter. 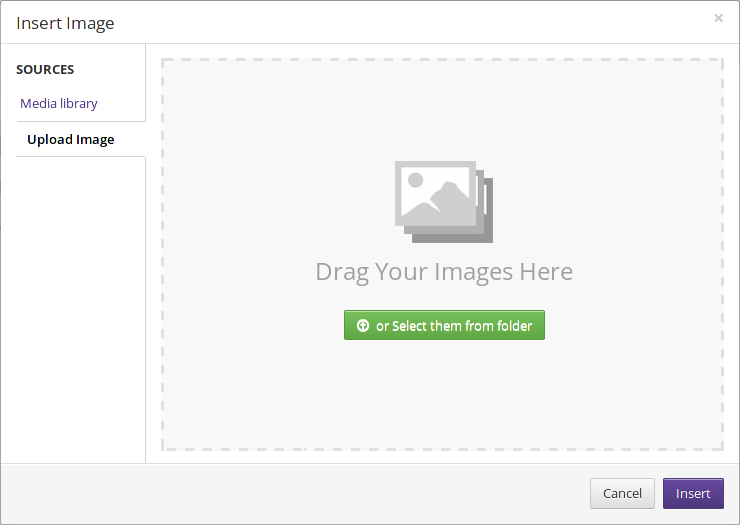 To insert an image from your computer, click the Upload Image tab, and then either drag your image onto the window and click Insert, or click the big green button entitled or Select them from folder, select your image from the file picker, and click Insert.